Oops - we don't appear to have a video for the fi-4990C. Using "Dynamic Feeding" the scanner automatically adjusts the roller tension in the feeder to the optimum for the type of documents being fed. 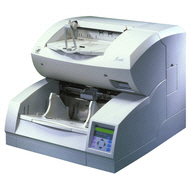 Fast and reliable with a daily duty cycle of 24000 A4 documents, the Fujitsu Fi-4990C document management scanner has been expressly created to meet the rigorous demands of dedicated document and image-management applications.